J.T. 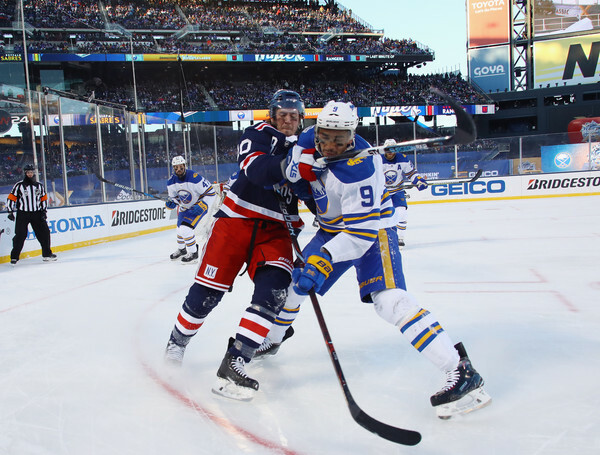 Miller #10 of the New York Rangers checks Evander Kane #9 of the Buffalo Sabres during the 2018 Bridgestone NHL Winter Classic at Citi Field on January 1, 2018 in the Flushing neighborhood of the Queens borough of New York City. The Rangers defeated the Sabres 3-2 in overtime.